This year’s conference focuses on questions of the possibility of new utopian faith beyond nation, state, capital, the world market and world citizenship based on the economy of (global) sovereignty. The deadline for paper proposals is June 1, 2014. Since 2010 this conference series has offered an invaluable opportunity to meet, exchange ideas and debate on current topics in humanities and social sciences. This year’s conference focuses on questions of the possibility of new utopian faith beyond nation, state, capital, the world market and world citizenship based on the economy of (global) sovereignty. The keynote speaker is Simon Critchley (The New School for Social Research, New York) and the conference will feature a roundtable with Eric Santner (Department of Germanic Studies, University of Chicago), Fred Botting (English Literature and Creative Writing, Kingstone University), Mark Devenney (Politics and Philosophy, University of Brighton), and Laura Mulvey (Department of Film, Media and Cultural Studies, University of London). The full call for papers is here. The deadline is June 1, 2014. The conference title, “Utopia and Political Theology Today,” coincidentally includes this blog’s name! Dr Vincent Lloyd is an associate professor of theology and religious studies at Villanova University. 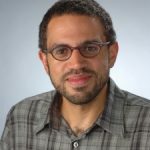 He is the author of Law and Transcendence (2009), The Problem with Grace (2011), Black Natural Law (2016), and he co-edits the journal Political Theology. Lloyd’s current research, funded by the American Council of Learned Societies, explores religion, justice, and mass incarceration.